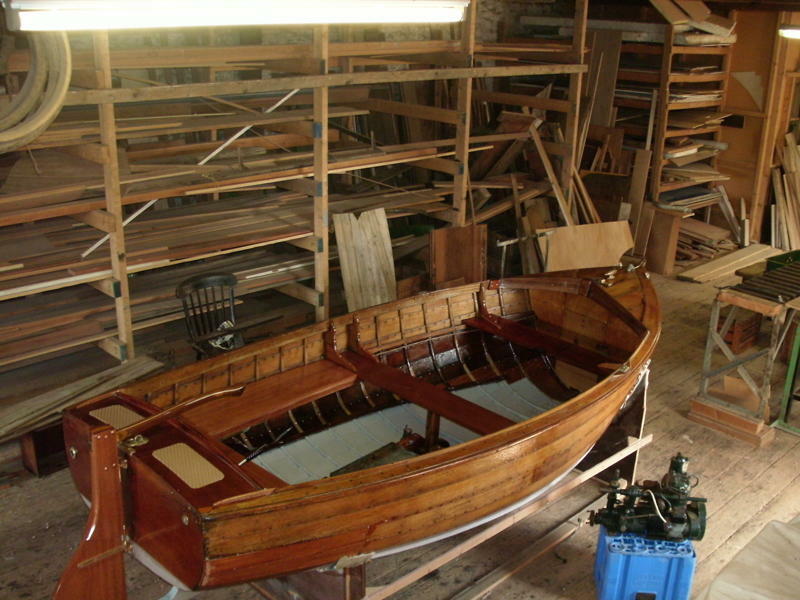 Boat Building Academy graduate Ian Baird’s first professional commission is nearly ready to take to the water after an extensive restoration. Yoma II is a 1961 Burnham on Sea Motor Boat Company-built vessel based on theirSturdy 16 model of the time. 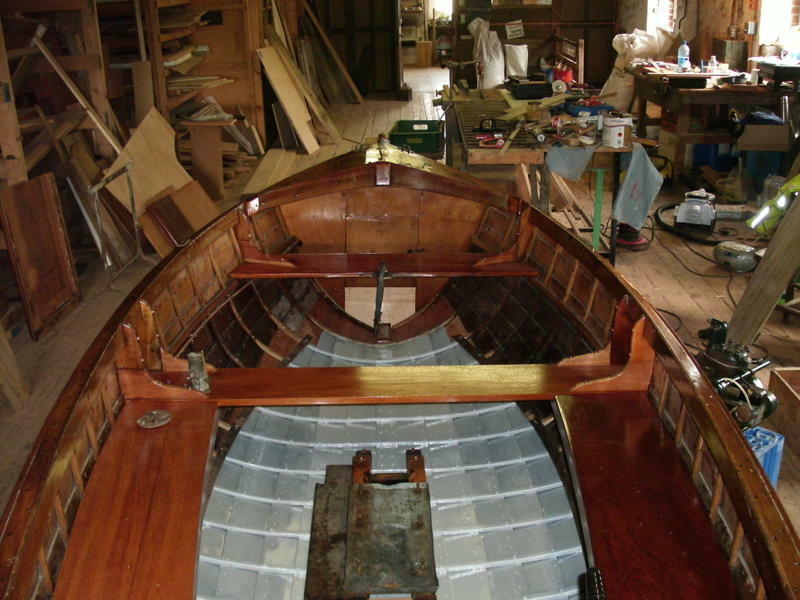 However Yoma was built at 14ft to the owner’s specification. 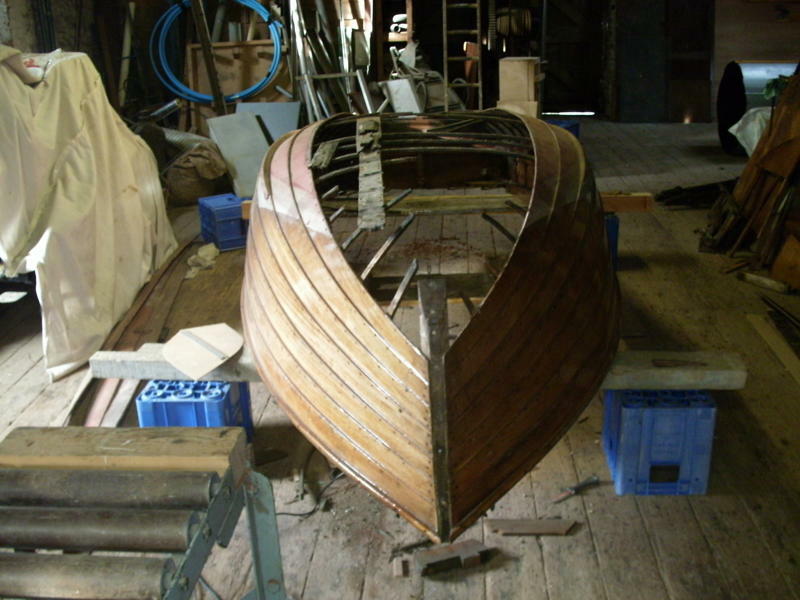 ‘We think the original owner, Tony Palmer commissioned a smaller boat to make her more manoeuverable around the small harbour of her home port of West Bay in Dorset‘, says Ian. 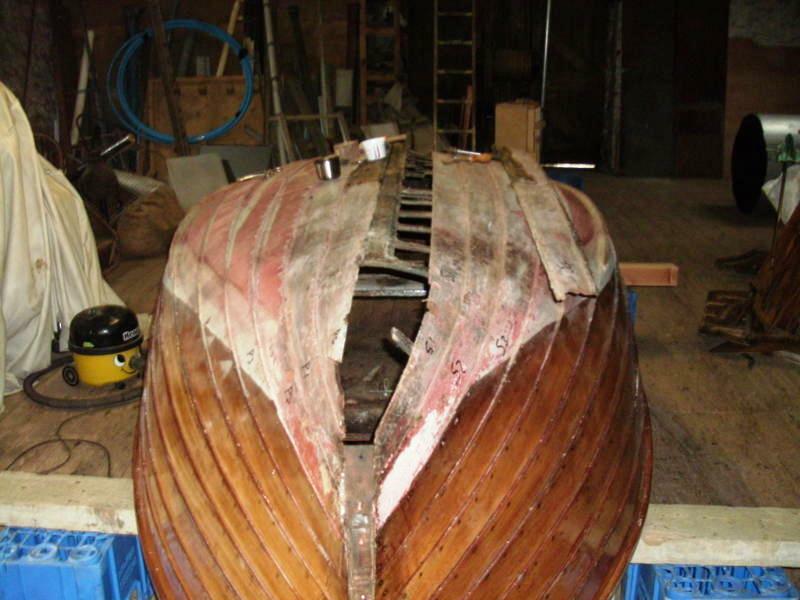 ‘This was a difficult restoration to take on as a first job. 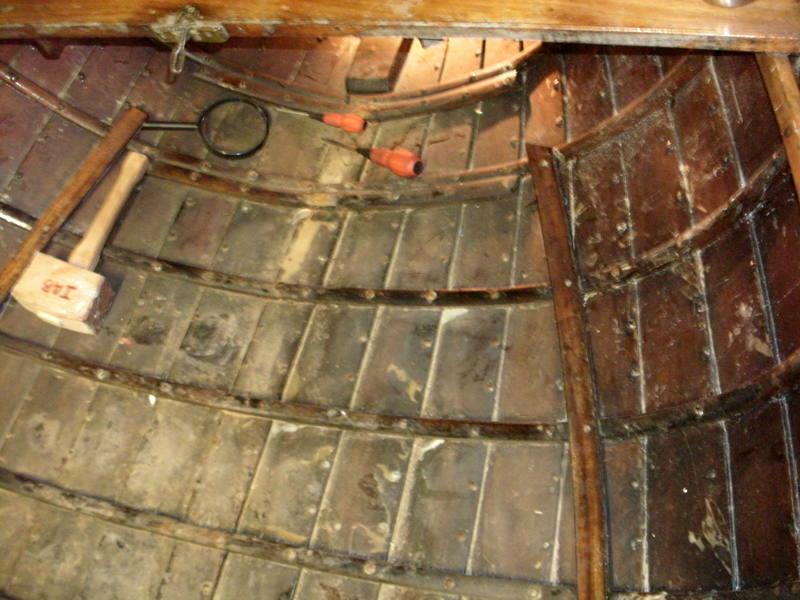 Yoma’s bottom had completely rotted out and everything from the fifth plank down from the gunwales had to be replaced. Her current owner, John Palmer, will continue to use her from West Bay as the tender to Yoma, a locally-built gentleman’s motor launch built in 1921. 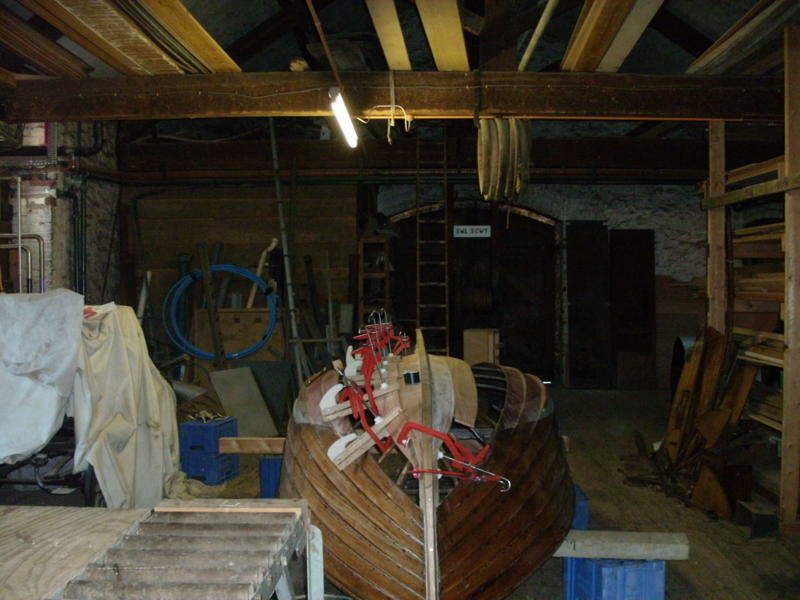 While on the BBA course Ian Baird built the replica Dorset lobster and crab boat named Witch of Worbarrow – see an earlier post on this project here.